To meet the governor’s goal of 10,000 new housing units statewide by 2020, the state’s housing agencies are working with the counties and home builders to streamline processes and improve financing tools. The focus is building more affordable units for working families. 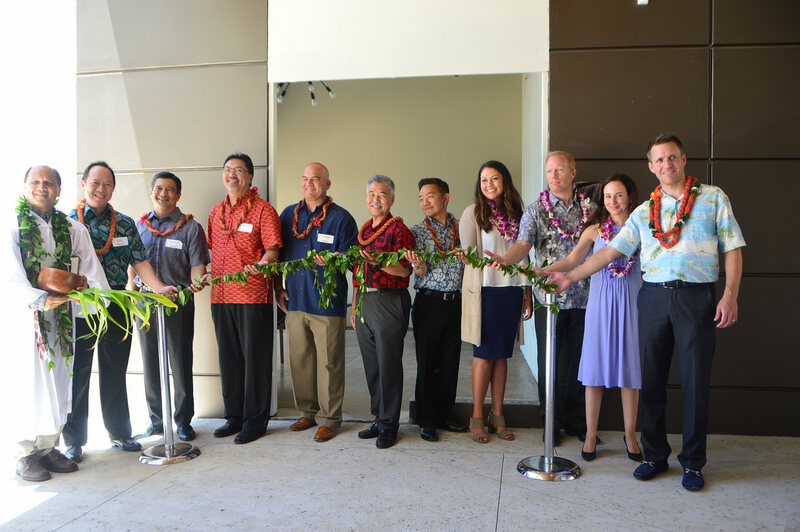 This includes tripling the supply of affordable housing in Kaka‘ako and opening new projects such as the Keauhou Lane and ArtSpace Lofts rental units as well as projects in other parts of O‘ahu and the neighbor islands. Keauhou Lane is a 209-unit Kaka‘ako midrise where rents must remain moderate for 30 years. 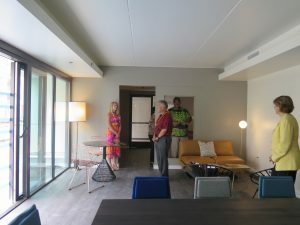 The governor also praised a Department of Hawaiian Home Lands’ affordable housing pilot project at Kapolei Ho‘olimalima that helped 69 families move from renters to homeowners. DHHL partnered with Mark Development, Inc. to create the program using federal low-income housing tax credits. Governor Ige with officials from Kamehameha Schools and developer Gerding Edlen at the blessing of Keauhou Lane, an affordable housing rental in Kaka‘ako. Since taking office, Governor Ige has focused on boosting the State’s General Obligation (GO) bond credit ratings to save taxpayer dollars. The governor’s strong management of the state budget resulted in both Moody’s and Standard & Poor’s raising the state’s credit rating to Aa1 and AA+, respectively, in 2016 which is the 2nd highest rating possible. These strong ratings enabled the state to refinance a portion of its GO bonds, resulting in savings of $141.9 million. Also, the Highways and Harbors divisions, the University of Hawai‘i and the Department of Hawaiian Home Lands reported debt service savings totaling $78.2 million. Higher credit ratings result in lower borrowing costs for state projects such as new schools and affordable housing programs.